One of Europe’s largest auto shows is just around the corner and BMW has a blockbuster reveal slated for it. 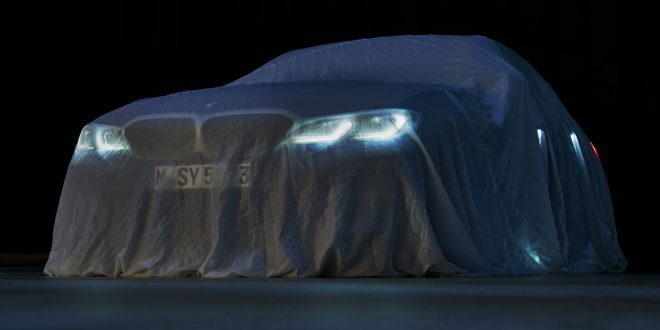 The German automaker will be rolling out its next-generation 3-Series, which has been teased with the above veiled shot. The seventh-generation 3-Series is undoubtedly an important car for BMW. The car accounts for nearly one-sixth of the brand’s sales, despite the fact crossover SUVs are booming these days. It’s importance makes it little surprise that the teaser appears to confirm an evolutionary design strategy, with traits such as a larger grille and LED accents in the lights that are borrowed from other recent BMW designs. In addition to the new 3-Series, BMW will also debut its new Z4 Roadster, 8 Series Coupe, X5 and M5 Competition. BMW says the 3 Series will formally bow on October 2nd. I’ll be interested to see how much it has grown.